The Internet is flooded with unscrupulous dealers selling newly made ceramic pieces as "antiques". In the best of cases they do not know themselves what is antique and what is not. Others purchase reproductions for reproduction price (often in the "antique market" in China) and then re-sell, deceivingly, as "antiques". 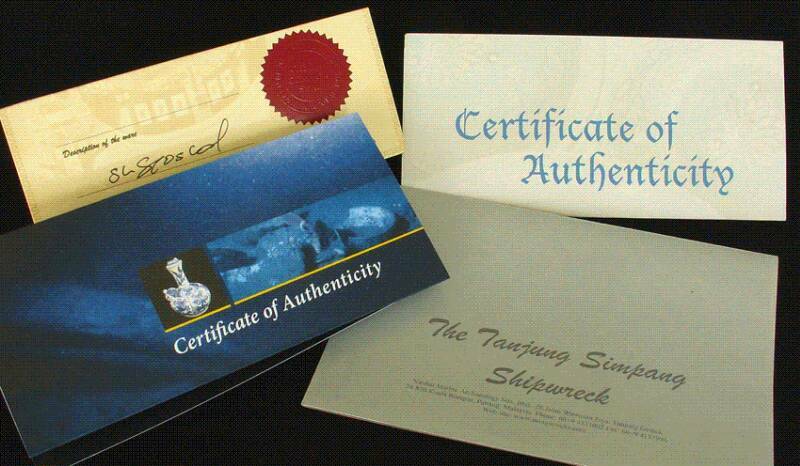 Many of these dealers also issue "Certificates of Authenticity" which are as 'fake' as the pieces they sell. 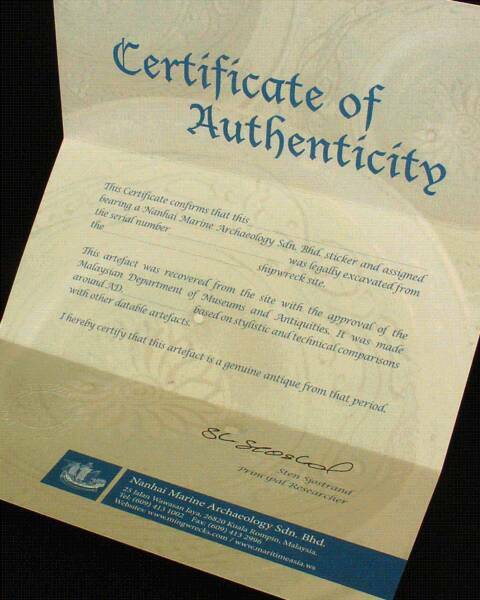 If anyone can make or sell newly made pieces as antiques, they can also make a 'fake' and meaningless certificate. We are NOT ANTIQUE DEALERS. 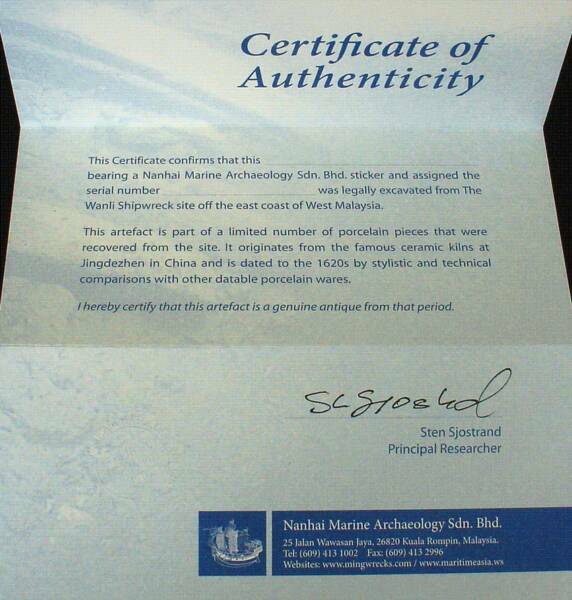 We are marine archaeologists and only sell artifacts recovered by ourselves in cooperation with the Malaysian Ministry of Culture, Arts and Heritage and its Department of Museums. 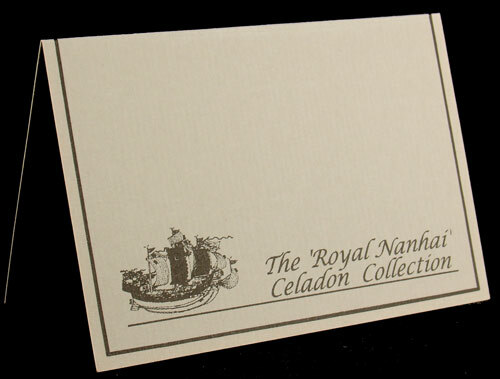 As such I myself, as our leading researcher, have no problem to issue every piece with a serial number with a proper, meaningful and legally binding Certificate which guarantee its authenticity. 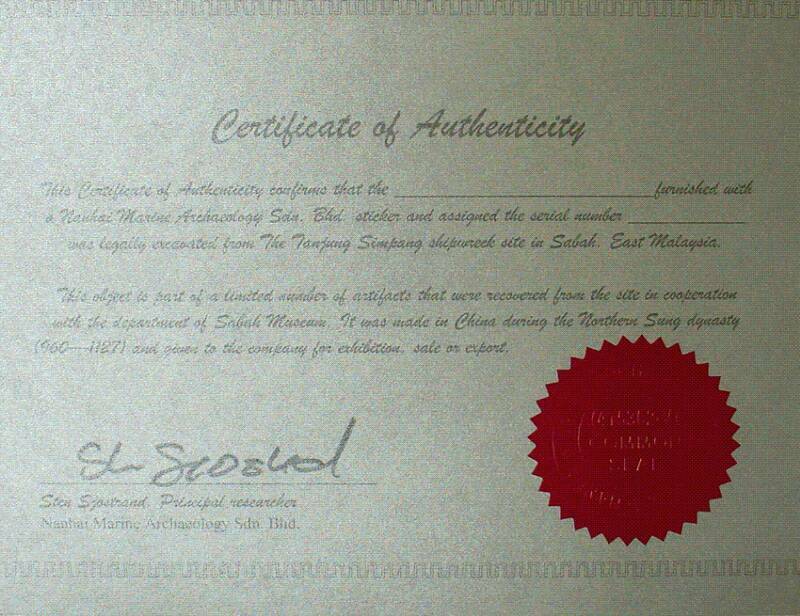 The upper left Certificate is supplied with all numbered artefacts from our AD. 1830 shipwreck: Desaru.